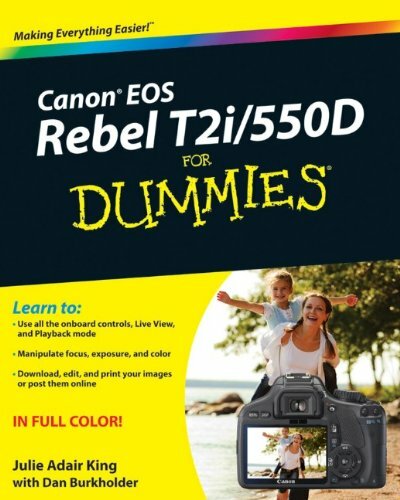 No question about it, your Canon Rebel T2i is a picture-taking powerhouse. But don’t let all its fabulous features overwhelm you! This book starts by explaining all the bells and whistles and what they mean to you, the photographer. Then it shows you how to take creative control and what to do with those exceptional images once you have them.